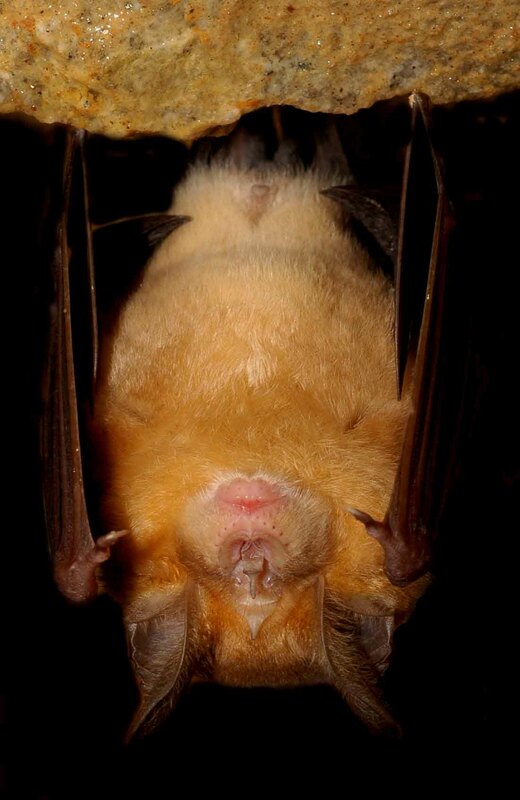 As a rule, bats sleep during the day and fly about at night. To sleep, they hang themselves upside down in a cave or hollow trees, with their wings draped around their bodies like cloaks. Bats are clumsy on the ground because their feet and legs are not suited for walking. When a bat rests, the easiest thing for it to do is to hang on, head down. The bat’s toes bend inward and end in book like claws—just what the bat needs to hang securely from almost any rough surface, such as the roof of a cave. The mother bat carries her young with her. The babies hang on tightly with their claws and teeth as the mother flies about hunting for food.